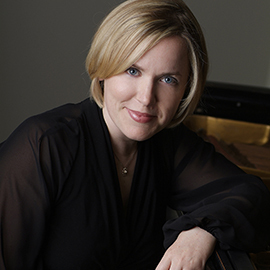 I am a seasoned piano pedagogue, accredited music therapist and pianist who has performed widely, both as a soloist and collaborative artist throughout Canada, the United States, Austria, Australia and Norway. I hold a Doctor of Musical Arts degree in piano performance and piano pedagogy from the University of Oklahoma, a Masters degree in Music Therapy degree from Wilfrid Laurier University and a Bachelor's degree in Piano Performance from the Eastman School of Music. I am an active adjudicator and clinician and previously held academic positions at Oklahoma City University, Shorter University in Rome, Georgia and Western University in London, Ontario. I also teach at the Beckett School at Wilfrid Laurier University and regularly present workshops on performance psychology for musicians. My primary setting for music psychotherapy practice and research is in a correctional facility context, exploring the application of pedagogical techniques and resources for music psychotherapy. Current projects include developing a music psychotherapy practice at the Beckett School at Laurier, as well as a group music therapy program for adults with traumatic brain injuries. I was the recipient of the gold medal in academic excellence at Wilfrid Laurier University as well as the Manfred and Penny Conrad Graduate Award of Distinction. Trio performance with Dr. John Reams (clarinet) and Dr. Deborah Popham (soprano), Southampton United Church, Southampton, May 2014. Trio performance with Jonathan Poenn (cello) and Jennifer Potter Soprano, Southampton United Church, Southampton, May 2017. Piano 4-hands with Marnie Van Weelden, Wilfrid Laurier University, Waterloo, November 2017. I am a classically trained pianist with decades of experience performing and teaching all levels and ages of students, but my education and professional experience only play a supporting role in my teaching methodology and clinical practice. As an educator, I believe it is essential for each student to discover how their life story shapes the way they interact, live, and communicate with music. Knowing these personal connections deepens a student’s ability to communicate with and through music, whether as performers, educators, music therapists, or composers.